Ringing In The New Year With Our Favorite Celebs!! Vegas was the place to be to ring in the new year. Jay-Z, Coldplay and other famous rockers and rappers performed at the grand opening of Marquee Nightclub at the The Cosmopolitan, a $3.9 billion hotel on the famous Strip. Coldplay kicked off the legendary evening with a twelve song set, including their famous tracks Yellow, In My Place and Clocks. 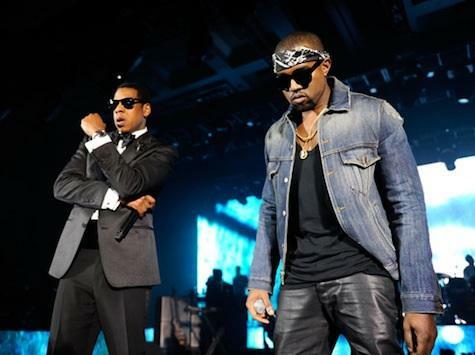 Jay-Z didn’t perform solo during the star-studded three hour affair. Jay-Z’s famous wife Beyoncé, Kanye West and John Mayer all made surprise cameos during his performance. Dressed in a gorgeous sparkly dress, Beyoncé accompanied her hubby for a rendition of “Young Forever” and sang “Halo” with Coldplay front man Chris Martin. Mayer joined Jay-Z with guitar to perform the smash hit “99 Problems” while West sang “Homecoming” with Martin. Rihanna also took to the stage and sang her hit song, “What’s My Name”. The legendary evening was full of crazy surprises as West decided to give a last minute performance at 2:30am while he took over the DJ booth! Jay-Z joined West in the DJ booth and wished club goers a Happy New Year while the crowd went nuts! Gwyneth Paltrow was among the sea of fans to ring in the new year with her husband (Chris Martin) and close pals. Jay-Z told the 1,500 black-tie attendees, “You are the luckiest people in the world tonight, do you know that? The price tag for this epic party is said to cost a whopping $25 million! WOWZA!!! Indeed, they were. The lucky crowd was full of celebs to attend the show that Jay-Z dubbed “once in a lifetime.” Among the crowd was Cameron Diaz, Alex Rodriguez, Jennifer Lopez, Marc Anthony, Ellen Pompeo and Blake Lively. We look forward to future genius tunes! For those of you who couldn’t make the performance, we encourage you to play our great games to re-live the Vegas New Year experience!